A BASF Construction Chemicals company has unveiled a high performance exterior/interior vertical wall expansion system joint reportedly capable of accommodating large, multi-directional thermal and seismic displacements. 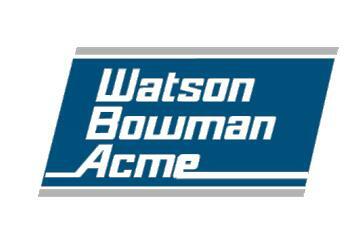 Watson Bowman Acme (Buffalo, New York) launched QuakeWall earlier this month. 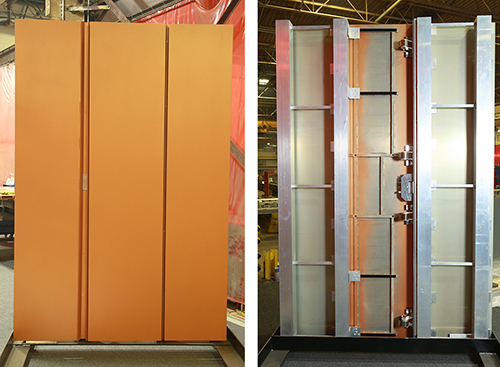 The company says constant force springs allow the panel to hug the structure, even during significant seismic events, enhancing safety of building occupants. Recommended for installation with interior/exterior wall joints requiring large movement capabilities for severe conditions, the product can be used in healthcare, transportation, and retail buildings, as well as parking garages, the company adds. The system features a patented slide/rider system, which reportedly smoothly guides the panel up and out of the blockout, with the rider’s soft rubber roller preventing damage to the existing structure facade, the company notes. The spring hold-down system eliminates the need for extraneous cabling, and the safety issues and closing force variability associated with magnets, according to the company. The product is said to be easy to install and its low height, open rectangular bed design allows for the quick application of matching wall facade materials, saving time for contractors, Watson Bowman Acme says.